This famous painting, Impression, Sunrise, was created from a scene in the port of Le Havre. 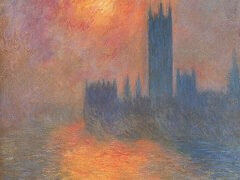 Monet depicts a mist, which provides a hazy background to the piece set in the French harbor. The orange and yellow hues contrast brilliantly with the dark vessels, where little, if any detail is immediately visible to the audience. It is a striking and candid work that shows the smaller boats in the foregrouna almost being propelled along by the movement of the water. 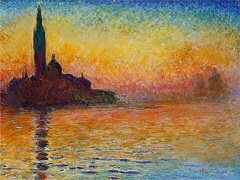 This has, once again, been achieved by separate brushstrokes that also show various colors "sparkling" on the sea. 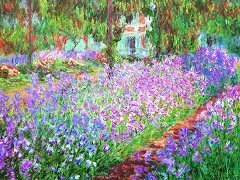 From the 15th April to 15th May 1874 Monet exhibited his work together with Camille Pissarro, Alfred Sisley, Édouard Manet, Paul Cézanne, Edgar Degas, and some other thirty artists. 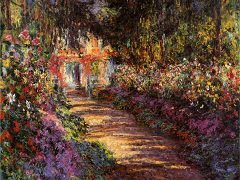 They organized their exhibition on their own as they were usually rejected at the Paris Salon. Most visitors were disgusted and even outraged over such a graffiti. 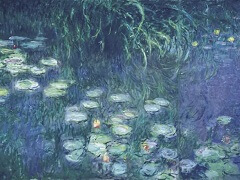 Monet's Impression, Sunrise enjoyed the most attention and some visitors even claimed that they were absolutely unable to recognize what was shown at all. 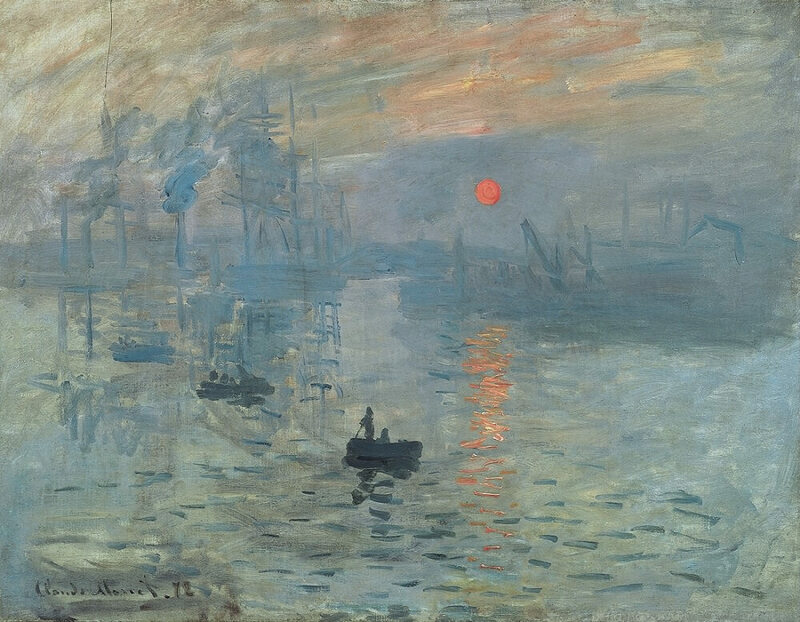 Ironically, Impression, Sunrise is not typical of Monet's work, although it does carry elements of his normal style. The horizon has disappeared and the water, sky, and reflections have all merged together. The buildings and ships in the background are only vague shapes and the red sun dominates the painting. 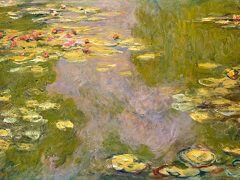 As Monet himself commented: "It really can't pass as a view of Le Havre." His aim was not to create an accurate landscape, but to record the impressions formed while looking at that landscape. 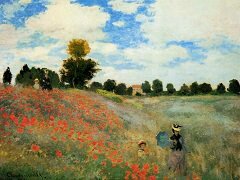 Copyright © 2010 - Present www.claude-monet.com. All Rights Reserved.